What Kate Baked...and baby! : Tea Time Treats October: The Round-Up! Tea Time Treats October: The Round-Up! It's the October Tea Time Treats round-up! 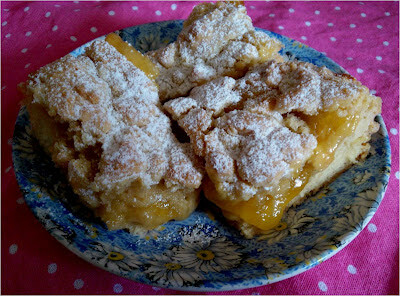 Our first sweet entry came from Michelle from Utterly Scrummy Food for Families with a Versatile Lemon Curd Slice- just look at that gooey, zesty lemon bursting from the crumbly cake! A very keen jam maker, Tea Time Treats regular (yay!) 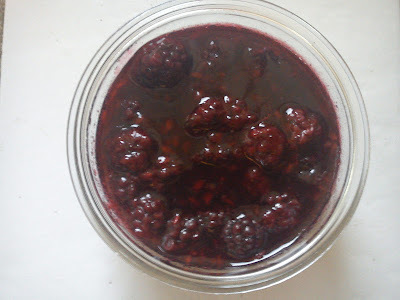 Kiki from Kitchen of Kiki has made this Blackberry Jam with Lemon - a perfectly Autumnal preserve! Continuing the Autumnal theme with these fine Blackcurrent and Rose Nonnettes is Choclette from Chocolate Log Blog. 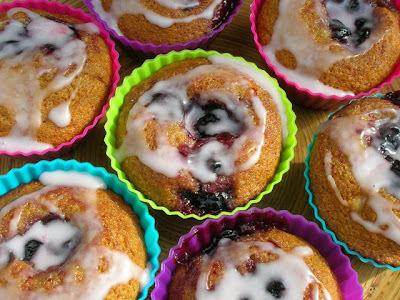 Nonnettes are eggless French honey cakes- sweet, sticky and flavoursome in equal measure! 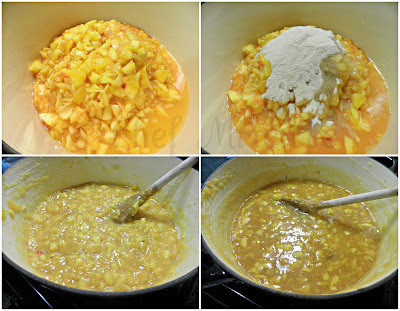 After arriving home, armed with pounds of peaches from the local market, Chef Mireille made this scrumptious Peach Jam. 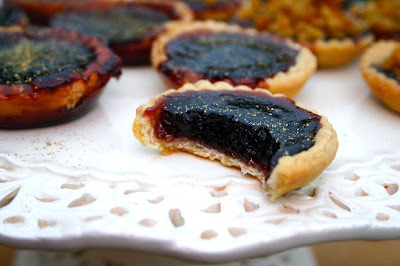 Check out the blog for Mireille's three other entries: Pumpkin Jam Cookies, Strawberry Rose Jam and Cranberry Sauce- thank you Mireille! I'm learning so much about jam and preserve making this month from reading all the great recipes- including that when made into jam, gooseberries turn pink! 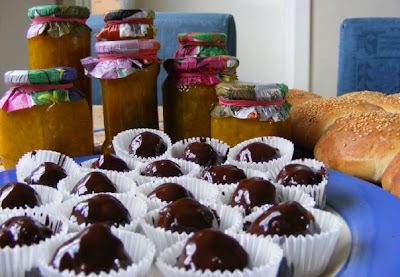 With thanks to Janice from Farmersgirl Kitchen for this Gooseberry Jam and that nugget of jam knowledge! 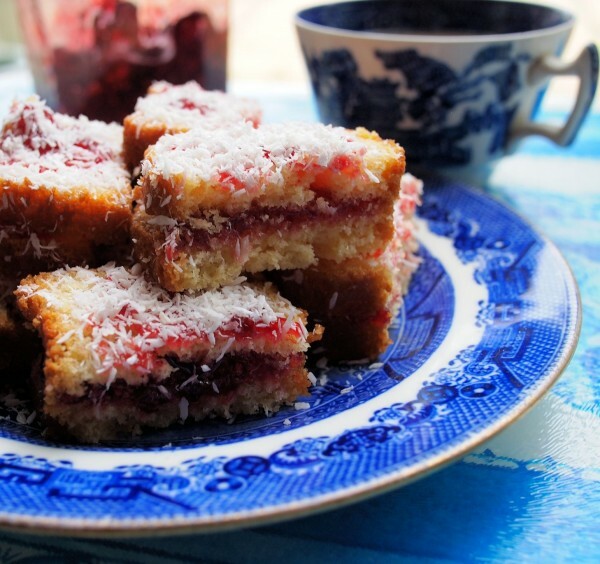 Inspired by the classic Be Ro cookbook series, Karen from Lavender and Lovage has baked this yummy Rich Jam and Coconut Cake. 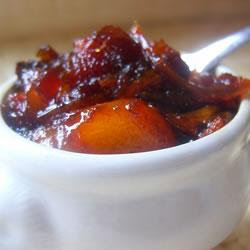 Karen has also made this Apple, Fig and Pear Chutney with Cardamom. 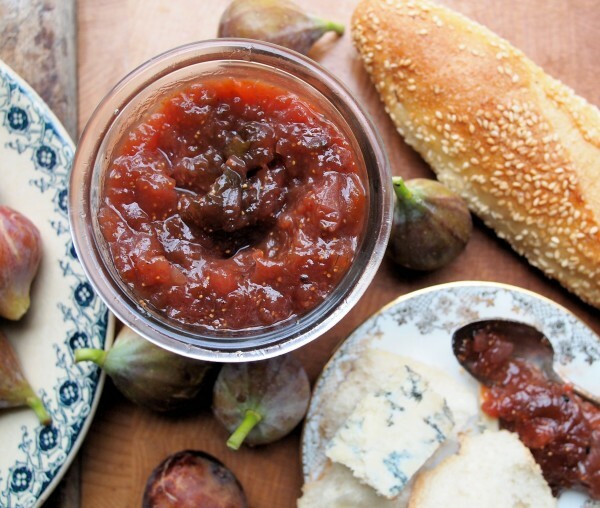 There is a whole host of inspiring recipes on Karen's site and she describes being 'well into my preserving season now, and all sorts of jams, jellies, cheeses, chutney, bottled fruits, liqueurs, pickles and relishes have already been made and are sitting with their paper mob caps and labels in the pantry'. Yep, I too would love a little tasting session in Karen's pantry! 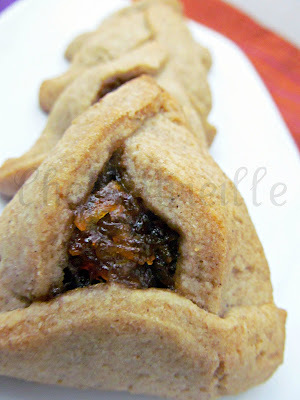 Someone mention Stilton and Chutney thumbprint biscuits? These are the brainchild (or should I say bakingchild?) of Blue Kitchen Bakes- thank you for your entry! Doesn't this next entry, Bramble and Liqourice Tarts made by the wonderful Dom from Belleau Kitchen look terribly tempting and tantalizing? Putting some long-forgotten jam, hidden at the back of the fridge, to extremely good use is Caroline from Caroline Makes with these crunchy, sweet Jammy Flapjacks! One of the most unique entries ever to grace the TTT table is this next one, a Pizza Filling: Strawberry Balsamic Chicken with Cilantro by Piece of Cake! 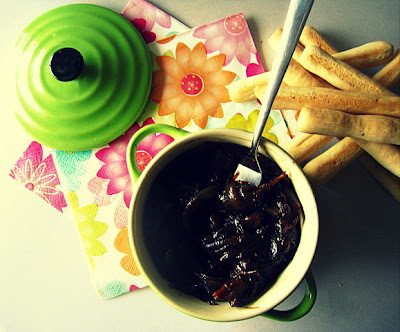 The sauce is made from a fab combination of jam, balsamic vinegar and chilli sauce creating a sweet, tangy flavour. 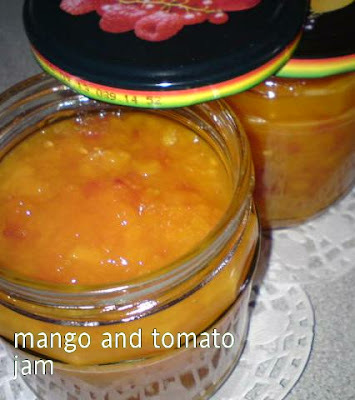 And finally, my little entry: Dumpsy Dearie Jam! Brilliant round up, and great timing with Christmas around the corner - my family can look forward to lots of homemade jams and chutneys in their hampers this year! Wow so many delicious jam recipes! 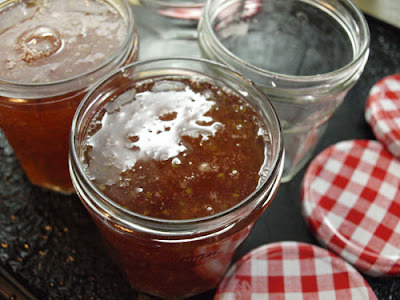 It's inspired me to make my own jam if only to bake into cakes :) Great round up as always. What a great collection of goodies.Can't wait for jam season,keep looking at my figs and hope I get to them before the birds! great collections with lots of delicious recipes! What a lot of tasty jammy treats. I'm surprised how many savoury entries you've got too!